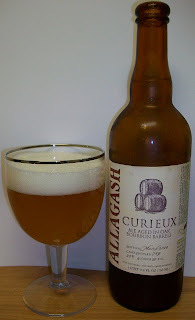 Commercial Description:Allagash Curieux is a unique beer that was aged for 8 weeks in Jim Beam Bourbon Barrels. In July 2004 they brewed a batch of the Triple and placed it in Bourbon barrels from Kentucky. 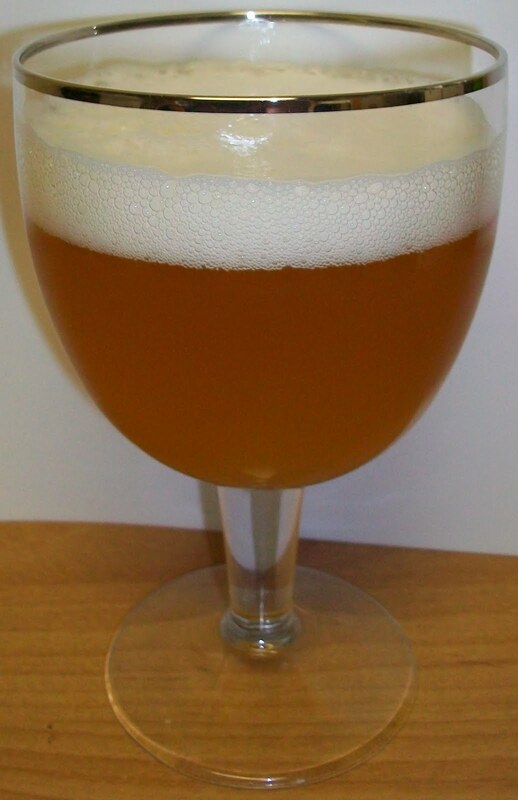 Review:The beer pours a hazy pale straw with almost copper hues and a white head. The nose on this beer is wonderful. There are nice light malt and hop aromas, some yeasty notes but most of all this is all on a nice oak/wood backbone. This is a most inviting nose, I can’t wait to dive into it. Wow, Wow, man o man this is good! I’m going to have a hard time explaining this one. You have to take a great Belgian Triple and then kick it up a notch by aging it in bourbon barrels. This is very unique and also very good. It starts out like a classic Belgian triple and then it gets interesting. It taste starts out sweet up front on the tip of the tongue and then a very nice effervescence over the tongue in mid-sip. There is a nice earthy buildup toward the back-end. The back-end is a little intense. It’s still easy drinking but you can start to feel the alcohol and the bourbon flavors at the top of the swallow. The back-end does have a real alcohol feel to it throughout the swallow. The finish is fairly dry but also flavorful. There is a very nice complexity that is realized in the finish with nice fruit esters, citrus and yeasty notes along with those unique bourbon barrel flavors. This is just exquisite; one amazing brew. I neglected to take a starting temperature but we are now at 63 degrees. This beer has just gotten better and better as it warms and opens up a little. There are maltier flavors now and you really taste the bourbon at this temperature. I also neglected to state this but there is also a very nice warming effect from this beer. I’m going for an A on this. This is a great classic Belgian Tripel with an exquisite Bourbon Barrel touch that really makes it outstanding. I may be able to find this one at Steve's up in Madison...I'll take a close look next time I visit. It's pricy but a nice treat if they have it.